Firefighter Matt Skelly shows a CERT member how to properly use a fire extinguisher. 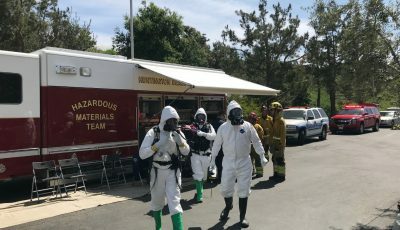 More than 100 residents tested their emergency preparedness skills over the weekend with the help of some professionals at a local fire station. 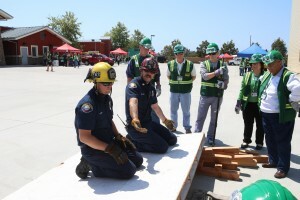 Newport Beach Fire Department’s Community Emergency Response Team held their semiannual “Drill the Skills” event on Saturday at NBFD Fire Station #7. 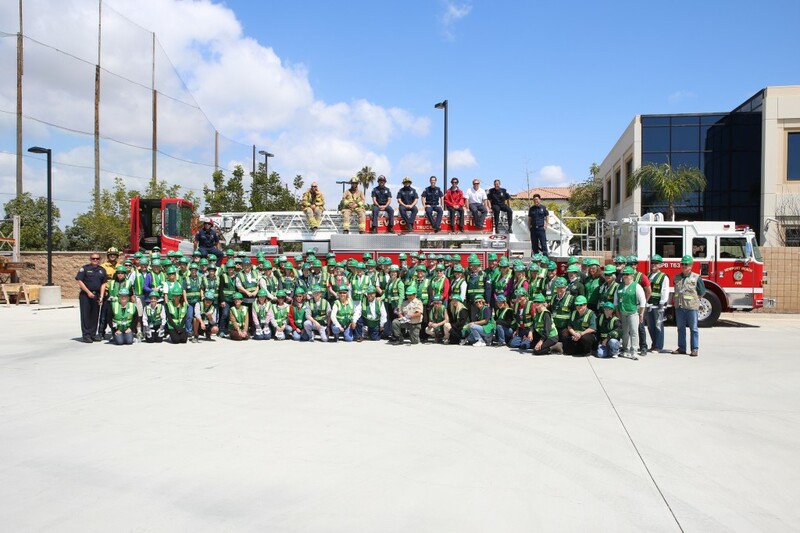 The event was the graduation ceremony for about 60 new CERT members that completed one of the three spring 2014 CERT programs. “With the most recent earthquakes in La Habra, this is a great opportunity to highlight what some residents are doing to prepare for these unexpected events before they happen,” said NBFD life safety specialist Matt Brisbois, who oversees the CERT program. Brisbois, the city’s community preparedness coordinator, said the event was also an opportunity for past CERT graduates to refresh their skills and renew their certifications. Firefighter Jim Reideler (left) and Captain Charlie Dall explain how to lift heavy objects during outdoor search and rescue. 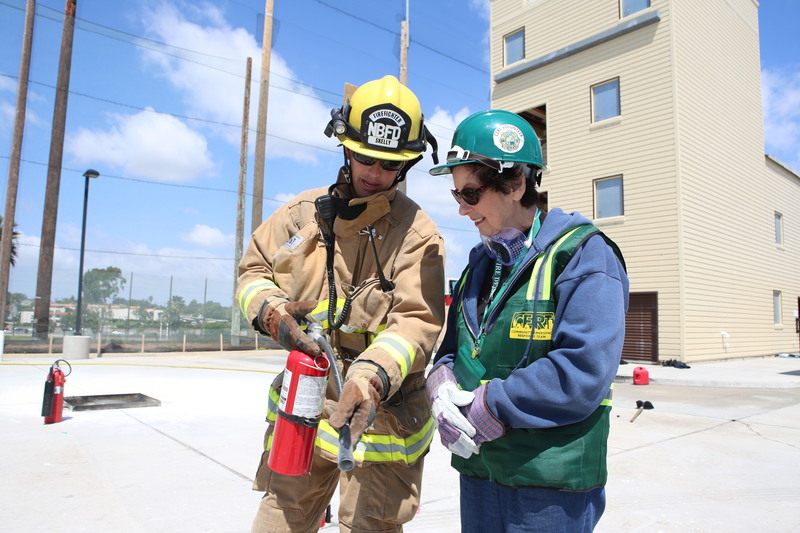 For the drill, CERT volunteers were divided into six neighborhood teams and participated in six stations: Outdoor search and rescue, indoor search and rescue, fires suppression, disaster medical operations (triage), ID badge, and disaster medical operations review. At the conclusion of the drill, the most recent CERT participants were presented certificates of completion during a graduation ceremony. The group also enjoyed a pizza lunch. 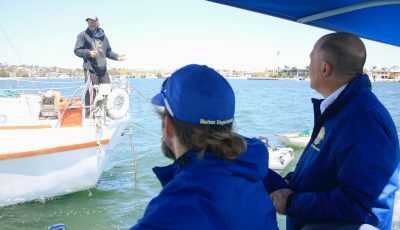 Volunteers are certified as disaster service workers, ready to help the Newport Beach community following unexpected disasters, Brisbois said. The program is a Department of Homeland Security Citizen Corps training program to train and certify residents to help themselves, their family and their neighborhood following unexpected disasters. 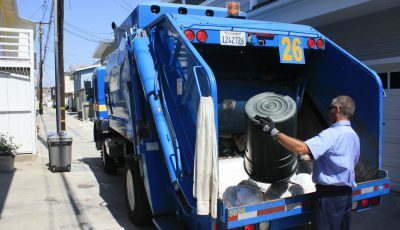 The Newport Beach CERT program recently won the FEMA 2012 award for Outstanding CERT Program Initiatives and received an honorable mention for Volunteer Integration. The program and Brisbois were also awarded the White House Champions of Change Award for 2013. 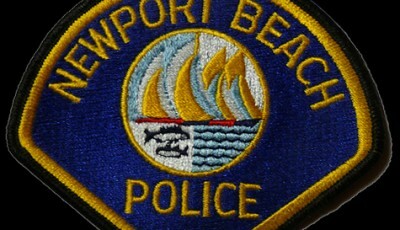 Newport Beach holds six CERT classes each year, three in the spring and three in the fall and has certified over 1000 residents and had over 1500 residents participate in the program. For further information on the CERT program or the “Drills the Skills”, contact Matt Brisbois at [email protected] or call (949) 644-3112. Participants and NBFD staff pose for a group photo on Saturday.